The easiest way to predict the future of user interface design is to look at the purest market for applications: the gaming sector. Nobody is forced to play games. People choose the games that they enjoy the most. At first, there was the menu interface. Remember those? Probably not. They were almost completely unplayable. I remember writing a few quiz games for my high school way back in the day. Let’s just say that students had to be forced to use them. Then there were games built around the command line interface — like the Zork dungeon game. Remember the command line interface? To change directories, you would type “cd newdir”. If you were using a wordprocessor, you had function keys you hit to format text — I recall F8 was underline. But I could be wrong. This was succeeded by the graphical user interface. The gaming community moved over to graphics way before anyone else did, then the educational community followed along afterwards. Business applications were the last to move over, and there are probably still people out there who refuse to use a mouse. The reason that gaming moved over first is that you can’t force someone to play a game they don’t want to play. But, in business, you can force someone to use a particular brand of computer or set of tools. And it costs a business money to switch over. With gaming, there’s only so long you can play a game before you’re bored with it and want to get something new, and your potential loss is limited to the cost of the game itself. With a business that has dozens, hundreds or thousands of PCs running a particular operating system or application, the potential switching costs are high — but the cost of business disruption, if the new technology doesn’t work out, can be orders of magnitude higher. Businesses do upgrade their software, of course. But they will take a long time to do it, to ensure that there is a very strong return on investment. So if you’re interested in knowing what the interface of the future will look like, look at today’s games. The most popular games today take place in immersive three-dimensional environments. There are still two-dimensional point-and-click games, of course, especially when it comes to comes to casual gaming. Tetris, PacMan, Scrabble — these are all games that require a graphical user interface. However, the games that people are paying real money for are the immersive three-dimensional games, like World of Warcraft and Grand Theft Auto. What will business applications build with immersive interfaces look like? 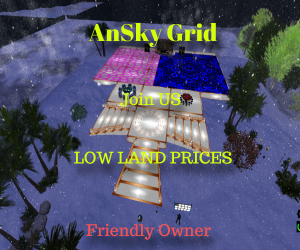 For some ideas, you can visit business facilities in Second Life or running OpenSim. Here, educational institutions are already creating environments where people can learn by doing. And some businesses are starting to use these environment as well. For example, filmmakers are using virtual environments to create animated corporate training videos. Event planners and conference organizers use them to bring together groups of people to listen to presentations, ask questions, and network with one another. But these applications are just the tip of the iceberg. Today, I am writing this document in a point-and-click web-based environment. Tomorrow, I might be discussing this live, with a virtual studio backdrop, in front of a virtual studio audience — and with a bigger audience watching the recorded presentation later. Other applications might not change much. Spreadsheets, for example, look pretty much the same as they did 20 years ago. But the output of those presentations — today available in chart form — may be in the form of immersive 3d environments. Or consider how we issue commands. We can type words into a command line interface. We can click on a menu item. We can use the mouse to intuitively select and drag text or objects around, or change the mouse pointer to a paint bucket to carry out tasks like filling in an image with a particular color. With the immersive user interface, the use of tools is expanded even further. For example, we wave swords to chop down monsters. We get into a car to chase our enemies. With virtual worlds, we’re already seeing the use of objects as tools. For example, a Stargate can take you from one virtual world to another. A flat-screen display will show the contents of a Web page or a presentation video. The educational community in particular is coming out with an impressive array of virtual three-dimensional tools that allow students to interact with data or to practice skills. Developers looking to build the next set of office applications can gain a lot from visiting some of the educational projects in SecondLife or on ReactionGrid.